Here's a wrap up of the statistics for October 2011 at Omari's Sister. I've been listening to podcasts and reading various manga critics' blogs and this week's popular theme is Halloween manga. Unfortunately, most of the title mentioned are just sick, literary, or sick and literary. Who the hell wants to read a bunch of highbrow manga with graphic violence perpetrated on humans and animals!? And since when has Halloween, other than the movies, been associated with serial killers!? Halloween One-shot #2: "The Grim Transfer Students"
Here is our second Halloween one-shot. I've been holding onto this one for about a year. It came out just after Halloween last year, so I waited an entire year to put this out at the right time. 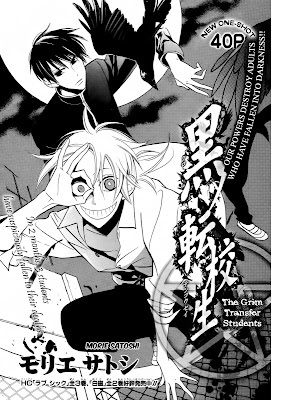 The title of this one-shot is "Kuro Tenkousei" or literally, "The Black Transfer Students". To my American ear, that title sounds very wrong and totally misleading, so I decided to use a synonym for black that captured what the story is truly about. 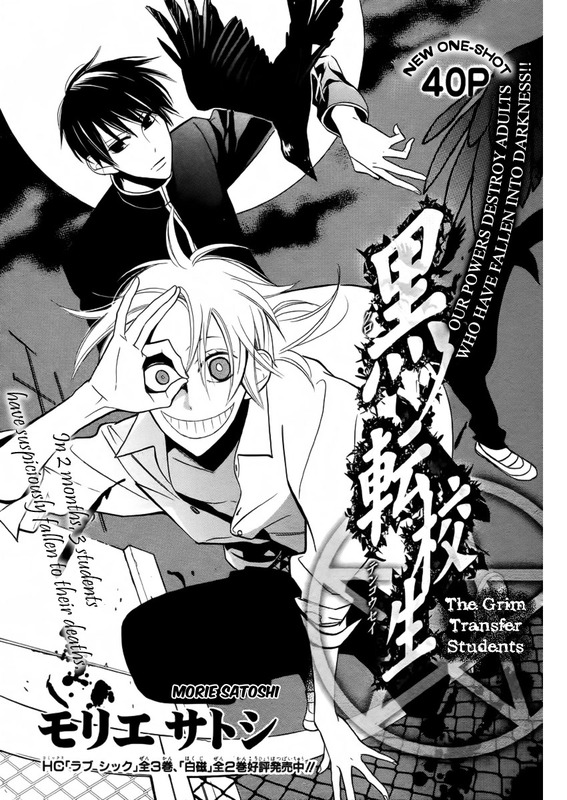 The word "grim" seemed to fit best, so "The Grim Transfer Students" it is. This is surprise confection that showed up in Asuka magazine. I waited until the first chapter actually came out before committing to give this series and try. 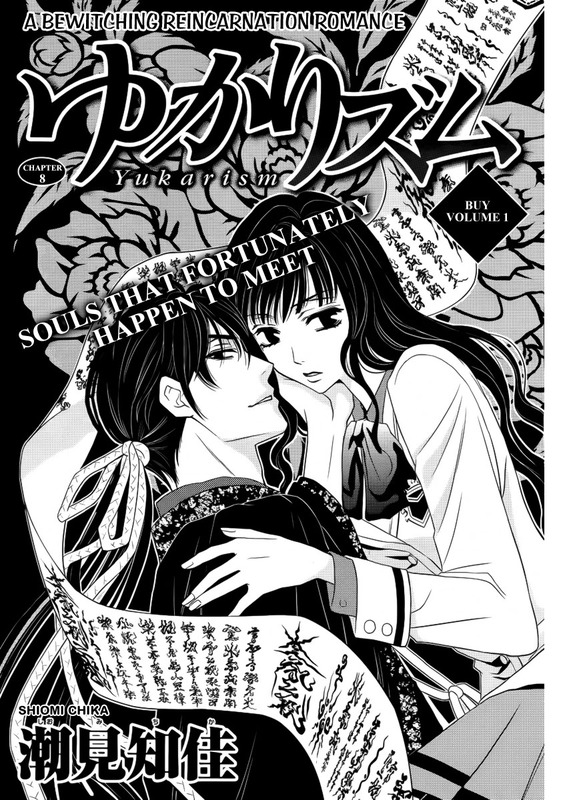 The first chapter is pretty hilarious, so I'm looking forward to starting this series. 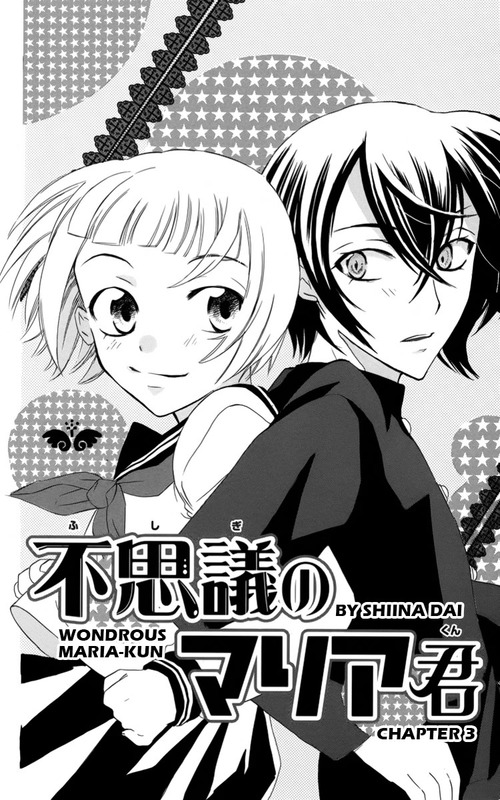 This will probably be a series that we will release every other month because it's got crazy redraws that rival "Fushigi no Maria-kun". We will release the first chapter in December. I'm still working of a proper translation. Since there are no female/male distinctions in English for the words "I" and "me" there is no direct translation for the Japanese title. The basic idea is "My, as a male, and My, as a female Exhalted Boyfriend". When this happens, it's best to give a series an English title that's not a direct translation but captures the idea of the series. For now I'm going with "Me, My Boyfriend, and I". Here is our big Halloween one-shot! 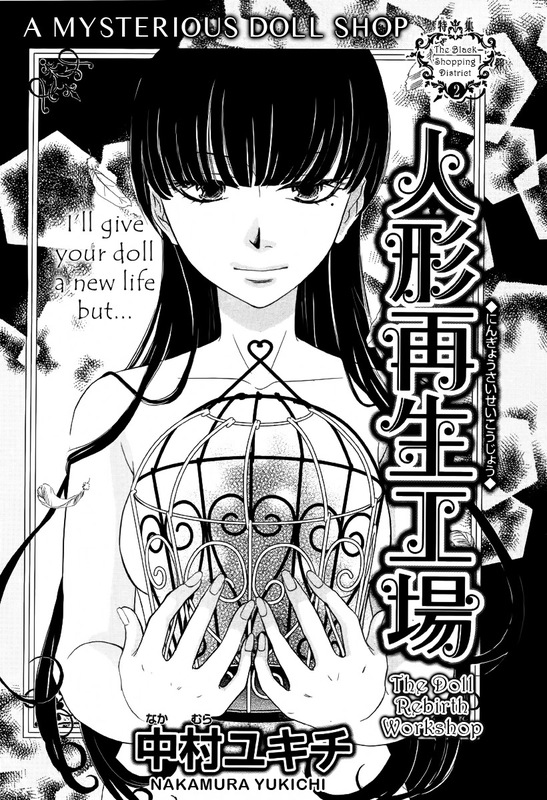 It's "In the Mirror of Death" by Fujiwara Hiro, the same artist who draws/writes "Kaichou wa Maid-sama". This feels very different that KWMS which was a pleasant surprise. Oh! 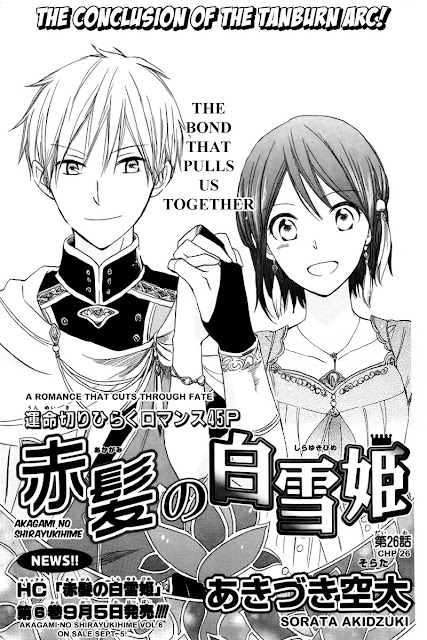 And this one-shot debuts our newest Omari's Sister translator! Let us welcome Jade! She did a wonderful job on her first project. Haha! It was rather brutal of me to give her a 72-page one-shot as an introduction to this group. I'm such a bad kitty! I would also like to thank Holanio for typesetting. This gave me time to catch up on some other projects that needed some attention. And now onto the links! We are Officially Dropping "Pika Ichi"
We are officially dropping "Pika Ichi". Hopefully another group will pick it up quickly. As of now I'm not interested in the rest of the story and there are other series that the group and I would like to work on. I'm sorry to all the fans out there, but I promise we will bring you a new and fabulous series from Asuka that will make you forgive us 1000 times over. HOLY CRAP!!! "Seirei Produce" is Back!!!! Kuro Lala and Shiro Lala One-shot Party? I've looked at the series we're doing and the resources and we will do half and half. This means that we will be doing one-shots for Kuro Lala and Shiro Lala through-out the rest of the fall and winter :). There will be no set schedule for the one-shot releases. They'll get done as they get done! More Shiro Lala Info and other Lala Related info! Update! Tell us what you like us to do in November and December. Do you want us to translate most of Kuro Lala and Shiro Lala or space it out and focus on the series. Please take the poll in the upper right hand column of this blog. 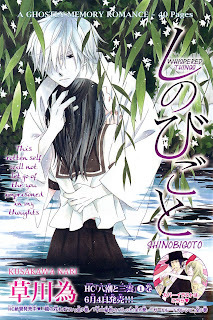 Here's some more information about Shiro Lala. More mangaka have been announced and there are some teasers for the one-shots. Sorry, I don't have time to completely translate the advertisement, but hopefully this is enough info and pictures to get you excited. We will try to bring you most of these one-shots. I'll present of the schedule of releases once I have the magazine in hand and decide which one-shots we will translate. I'm totally psyched! 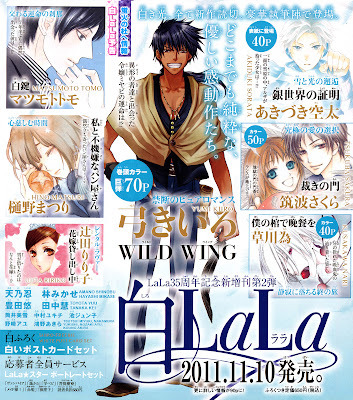 We still have so much to do from Kuro Lala. Haha! We'll get though both magazines eventually (Click on the images to see a larger version). Tonight was anime night and I was wasn't sure whether I was going to be able to post this tonight at all, so I did a quick post earlier. Now I have time to write a full post. This is the third chapter for "Fushigi no Maria-kun" and this time we get to see matters from Maria's perspective. My gosh is Maria sweet and huggable! 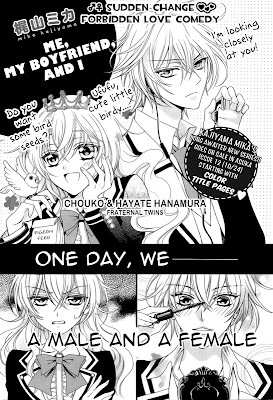 I liked translating this chapter a lot. Maria's inner monologues are beautifully written in Japanese. I hope I was able to translate some of that beauty into English. Shiina Dai never ceases to amaze me with her simple but poignant dialog. Spooky One-Shots from the Past! 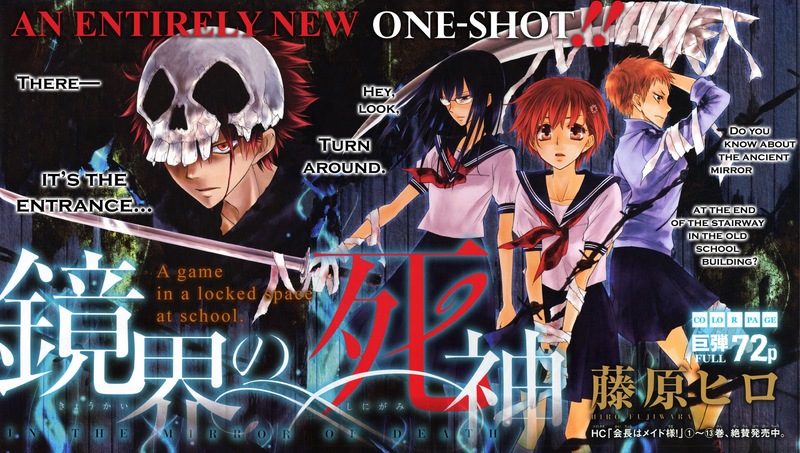 Here is our third spooky one-shot from Kuro Lala. I'd categorize this one-shot as campy horror. It's surprising gory for something carrying the Lala brand. And now I leave you with the thought, "It never ends well when a deranged teenage girl gets hold of an exacto knife." I lied. Actually, I do have a question for you readers. What's the moral of this story? For the life of me I can't figure out what I was supposed to learn from this bizarre little tale of bitchcraft. The ending is very "WTF?" International: Priority (Air), Air, or "the slow boat"
I will confirm the order and give you a shipping estimate before sending the invoice. First of all, I would like to acknowledge the effort the team of Omari's Sister translators put into page 6. There was a lot of :/, but after a couple of days of e-mail exchanges, I think we got a decent translation. At last we come to the end of the Tanburn arc. I'm kinda surprised this chapter didn't begin with some color pages. Oh well, this is still nice. 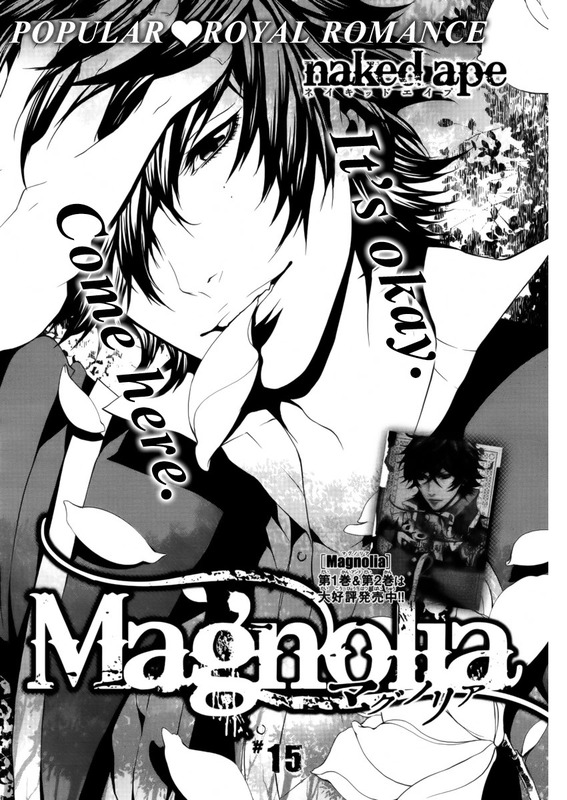 What a nice title page! This page makes me want to have a Magnolia calendar for 2012. That would be soooooo nice. October at Omari's Sister! Spooky Banners are Needed! We've entered the spooky month! Muwhohahahaha! But first, a little bit about September. We got a lot done considering my home server crash and the folks who are students in this group getting into stride at school. Good job everyone! Here are some stats for Sept 2011. Here's the list of the manga purchases I made this month. Kamisama Kiss, Volume 5 -- I've only read the first half. So far it's very cute.